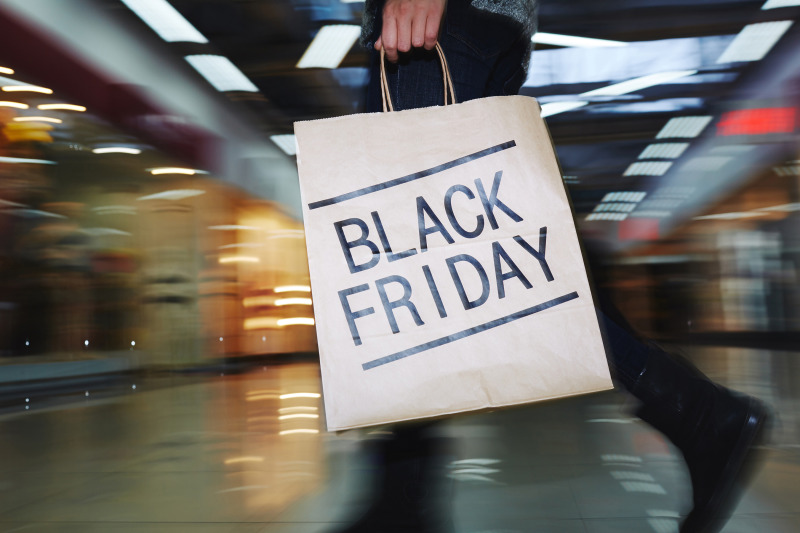 New data finds that 72% more UK retailers are taking part in Black Friday this year, compared to 2017, with even bigger price cuts and more stores than ever before getting involved in the day of deals. According to retail sales aggregator, Lovethesales.com, retailers that have previously avoided Black Friday are now participating or returning to the event. Asda, famous for a series of public stampedes in its stores, and who has publicly said it is avoiding the shopping event, has returned with a twist on Black Friday - promoting 'Green is the New Black' offers. Deals include price drops on electricals and small domestic appliances, including vacuum cleaners and air fryers, as well as toys. Homebase, who didn’t participate in 2017, is advertising a number of Black Friday offers this year, with up to 50% off running through until Cyber Monday on November 26. Shoppers can pick up a Ryobi ONE+ 18V brushless hammer drill for £57.50 or an AEG 18V two-piece combi drill kit with two batteries for £113, whilst Dulux standard coloured emulsion is being offered at buy one get the second half price. Homebase is also offering 20% off all artificial trees. This round of promotions comes off the back of a tough year for the retailer, which is understandably hoping to kick-start pre-Christmas spending. Although deals have been going on all week, retailers have added over 130,000 products to their Black Friday sales, overnight ready for today, and there are currently 26% more Black Friday deals on offer today than there were last year. And, in fact, the price cuts are getting deeper, with the average discount on goods during Black Friday this year running at 37%, compared with 30% off in 2016 and 33% off in 2017. It’s not just in home improvement and garden categories, that retailers have stepped up their offers, as fashion stores who previously shirked the shopping event have also jumped on board this year. FatFace, whose chief executive suggested Black Friday discounting was "bonkers" in 2017, currently has up to 50% off this week, whilst Whistles, who ducked out on the event last year, has returned with 30% off everything. LovetheSales.com founder and retail analyst, Stuart McClure, commented: “2018 has seen one of the toughest years for retailers for a long time. Uncertainty around Brexit and reduced spending confidence from consumers have been significant issues, and the long hot summer has hindered sales of autumn and winter wear." "Black Friday offers an opportune time for stores to try and claw back some of the transactions they have missed out on, as well as moving the slower selling winter lines, especially as it is very cold right now!" "Retailers who are known for eschewing the Black Friday furore are returning to it in 2018. This is testament to the fact that it’s been a tough year, and that many need the seasonal boost to their sales." Currently, 51% of all retail products are discounted and that is expected to increase, with 82% of all products set to drop in price over the Black Friday weekend.